Angry tonsils that refused to react to Augmentin and pain that cannot be treated with Ponstan. So, nothing like IV auntiebuyourdick and some secret painkiller only the ENT surgeon knows the brand. Got painkiller number 7077? What painkiller is that hor? Coblation tonsillectomy – new word I learnt today. And I am going to send both #1 and #3 for it next month. Enough of this merry-go-round of tonsillitis between the two of them. If your kid gets it more than 6-7 times per year, it is enough reason to remove them. I got my tonsils removed about 15 years ago. The ENT surgeon said it will reduce snoring, nightmares (both my kids sleep talk and one even sleep walk) and he told my atm, kids get smarter too. Heh, he did not mention it to me direct or else, I sure grill him. Do you know that if you got very bad sore throat with whitish spots and did not get proper medication, the swelling can completely cover your air passage and terus sei jor? It will lead to pus and icky stuffs like that. Well, i.e. if you go find tokong-tokong and ask mediums what hantu possessed you lah. 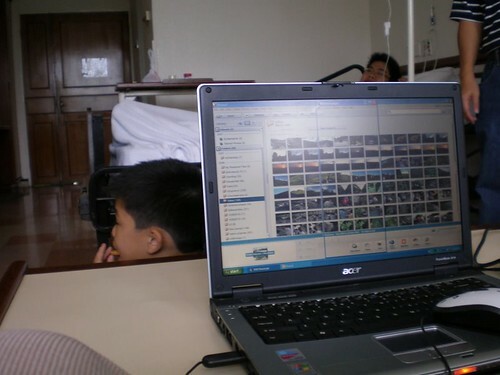 But Lam Wah Ee got wi-fi and with a laptop and medical insurance coverage of a RM200 private room, it is bearable lah. Thank God for that. Not the wifi, I mean the financial protection. Lucky only a three-day dose of IV antibiotic. And thank God, it seems like years and years since my kid last stayed in the hospital. More like five years ago. But still, those old experiences have made me a queen of hospital stay. LOL, your PC got siren when I update post issit? So fast wan? I love Lam Wah Ee Hospital, been there several times. Both my two youngest sisters were born there. I totally agree that it’s better to remove the tonsil as soon as possible cos everytime the tonsil acts up, the kid will end up with fever & be in pain- cannot go to school, miss a lot of things in life like playing and outings + holiday. What’s worse, the tonsil can be infected and like u said will be all pus and septic. 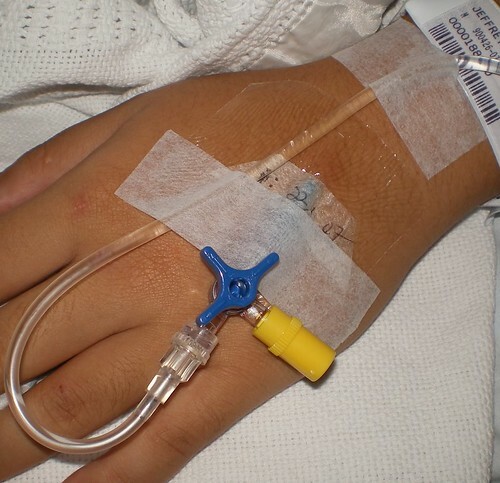 when I was small, hospitalization was almost a monthly event, that’s until I had my tonsil removed at the age of 4. after that, no more admittion except for an appendicitis & a case of high fever. Hope your boy will be better soon. My hubby had his tonsils removed 2 years ago due to sleep apnea which may lead to heart problem later. He was allowed to go home the next day after he was able to eat and swallow his food. My 4 year old got a white spot at the dangling thing (behind tongue) inside his mouth. Is that tonsilitis? He gets ulcer & red spots in his mouth often.